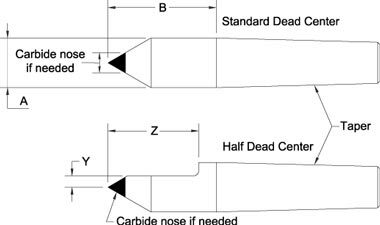 J&S dead centers are available in solid one-piece oil hardened tool steel treated to Rc 60-62 or with a carbide tip insert. All shanks are hardened and ground. Accuracy to .0001 TIR. Apply J&S HP919 Centerpoint Lubricant to reduce friction and wear.